The judicial commission (JC) probing alleged rigging in General Elections 2013 has summoned National Database and Registration Authority (NADRA) Chairman Usman Yousaf and Free and Fair Election Network (FAFEN) representative for cross-examination on Thursday. The three-member JC, headed by Chief Justice of Pakistan (CJP) Nasirul Mulk and comprising Justice Amir Hani Muslim and Justice Ejaz Afzal, held its proceedings in Supreme Court premises in Islamabad on Monday. During the session, lawyers for Pakistan Tehreek-e-Insaf (PTI) withdrew the name of former lawmaker Nabil Gabol from its list of witnesses. PTI’s counsel Abdul Hafeez Pirzada among other parties’ lawyers cross-examined Pakistan Security Printing Corporation (PSPC) Karachi Managing Director Rizwan Ahmed. Ahmed said that he was posted for security printing press on April 11, 2013 when the printing of ballot papers had already begun. He said that as compared to 2008, extra paper for ballots was purchased in the 2013 elections because the number of constituencies was greater. Extra ballot papers had to be printed due to orders from the courts, he said, adding that orders to purchase extra paper were given by the Printing Corporation of Pakistan. Pakistan Security Printing Corporation printed 73.3 million ballot papers, he said, adding that the record of the printing of all ballot papers was present at the corporation. It supplied ballot papers to Balochistan, Punjab, and upper and south Sindh. He said that Balochistan was provided ballot papers by May 2, but he claimed that he did not remember when they were delivered for Punjab and Sindh provinces. 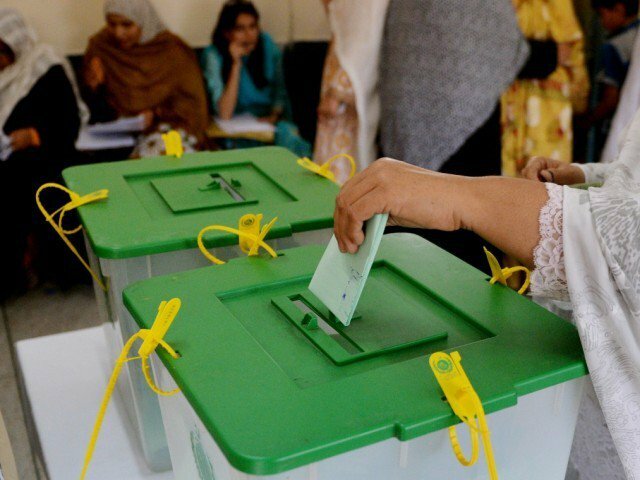 The managing director said ballot papers were delivered in the presence of Election Commission officials, returning officers (ROs) and Pakistan Army personnel. He added that old ballot papers were also destroyed in the presence of security personnel. He claimed that ballot papers were not printed from outside the press, and that it was incorrect to say that the printing machines had photocopying and memory card options. These machines were only for printing, he said. In next hearing, NADRA chairman and FAFEN representative would be cross examined. Meanwhile, PTI refused cross questioning former Sindh election commissioner SM Tariq. MQM counsel’s Hashmat Habib will cross examine him. Earlier, PTI’s counsel told the commission that the Election Commission has filed its reply to the commission but he did not know the official who submitted the reply. ECP’s counsel Salman Akram Raja said the commission’s reply was filed with the signature of the ECP secretary and a list of witnesses also annexed with it.